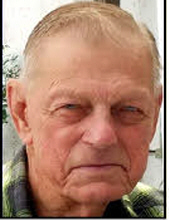 Celebrating the life of Charles Wellington Culver, Sr.
Obituary for Charles Wellington Culver, Sr.
Charles W. Culver, Sr., a retired supervisor for the Town of Wallkill Parks Dept, died on Tuesday, February 5, 2019 at Orange Regional Medical Center with his loving family at his side. He was 85. The son of the late Clinton E. and Alice B. Helt Culver, he was born on June 30, 1933 in Port Jervis, NY. He proudly served in the US Army 1953-54. Shortly after his discharge from the Service, Charles married Patricia Voorhees, and they shared 63 years of marriage together. He worked as a Union Carpenter for many years and after retiring from that career, he worked for the Town of Wallkill in the Parks Dept. He was a talented tinkerer and jack of all trades who could fix absolutley anything. He worked on motorcycles, televisions, held certificates for welding and was an AMI graduate. Like magic, he could fix or teach anyone to fix anything. Charles was a country music fan all his life. He played guitar on the radio as a child and was able to play any instrument he touched by ear. His gifts were amazing. His family remembers him as never leaving the house without his hat and having his pockets filled with gadgets, keys and tools. He shared his time and abilities with everyone and always made sure to buy 3 of anything in case someone else needed it too. His family will cherish his memory and all of the wonderful stories they have of his generosity and talents. In addition to his devoted wife, Patty at home, he is survived by his children; Bonnie O’Donnell, Charles W. Culver, Jr and his wife Sandy and Karen Palmer and her husband Michael; as well as six grandchildren, Michael A. Palmer Jr and his wife Geraldine, Brian Palmer and his wife Erin, Charles W.(Chaz) Culver III and his fiancée Gretchen Pilz, Kaycie O’Donnell, Justin Palmer and Jason Palmer, one great-grandson Noah Palmer, as well as several nieces and nephews. He was predeceased by his parents, siblings Ralph and Harry Culver and Margaret Pellew and a son-in-law William O’Donnell. Visitation will be held from 10:30 am to 1:00 pm on Friday, February 8, 2019 at Applebee-McPhillips Funeral Home, Inc, 130 Highland Avenue, Middletown, NY 10940. A Funeral Service will follow at the funeral home at 1:00 pm and burial with Military honors will take place in Orange County Veterans Cemetery, 111 Craigville Road, Goshen, NY 10924. To send flowers or a remembrance gift to the family of Charles Wellington Culver, Sr., please visit our Tribute Store. "Email Address" would like to share the life celebration of Charles Wellington Culver, Sr.. Click on the "link" to go to share a favorite memory or leave a condolence message for the family.